Temperature : Max. 36°C and Min. 13°C in Summer. Max. 31°C and Min. 12°C in Winter. 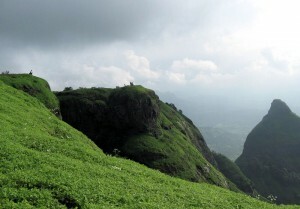 Lonavala is charming mountain resorts in western ranges of Sahydri. This site was discovered in 1871. These health resorts have scenic surrounding and offer much to the trekkers or nature lovers. Air: Nearest Airport is Pune 67 km. The convenient airport is Mumbai 80 km. Rail: Lonavala Railway Station is between Mumbai – Pune line of Central Railway. Road: Lonavala lies on National highway between Mumbai and Pune. This entry was posted in Lonavala, Maharashtra and tagged lonavala india, lonavala maharastra, Lonavala Map. Bookmark the permalink.